Nurse Charged With Assisting In Her Father's Death : Shots - Health News A Philadelphia woman who allegedly gave her 93-year-old father a vial of morphine is facing prosecution in Pennsylvania. Most state laws prohibit assisted suicide, but prosecutions are becoming increasingly rare. "Barbara did not, would not, would never hand medicine to her father with the sole purpose — or with even a remote purpose — that he was going to intentionally end his life on her watch," Mancini's lawyer, Frederic Fanelli, told reporters during a teleconference Wednesday. "It's ridiculous, it's abhorrent that they would even say that." A preliminary hearing in the case is scheduled for Thursday in Pottsville, a central Pennsylvania town of 14,000 where Yourshaw lived. Its purpose is to determine if there's enough evidence for the case to go to trial. Mancini is being charged under a statute common in many states that makes it illegal to assist in suicide. Other cases involving end-of-life situations have been prosecuted under these laws, although such cases may be dwindling — and when defendants are convicted, there's a tendency these days to let them off with light sentences, such as probation. Three states have statutes explicitly allowing assisted suicide under limited conditions — Oregon, Washington and Vermont. Montana allows it under a 2009 state supreme court decision, and attempts to overturn it have failed. The Pennsylvania case turns partly on the contested claims about Barbara Mancini's stated intentions when she gave her aged father a vial of morphine. Joseph Yourshaw was a hospice patient suffering from diabetes and frailty. According to an autopsy report filed by Dr. Rameen Starling-Roney, he stopped taking all medications in December 2011. "He drank regular soda, [and ate] two boxes of candy per week and multiple pastries," the report notes — a diet that would be expected to worsen uncontrolled diabetes. In January 2013, the autopsy report notes, an entry in Yourshaw's hospice chart says he told his family "that he wants to die." 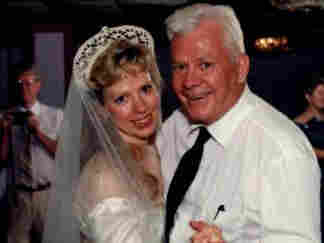 His wife, Marguerite, reportedly said, "Your daughter [apparently referring to Barbara Mancini] told you how to do that. Just stop drinking." Yourshaw became increasingly weak and short of breath. Hospice records show that Mancini called to request low-dose morphine for Yourshaw's pain. On Feb. 6, he had a fall. The next day hospice nurse Barbara Cattermole paid a call to check on him at home and found Yourshaw unresponsive in bed. Cattermole told authorities that Mancini said she had given an entire vial of morphine to her father to end his life, while Mancini says she was merely trying to relieve his pain. The hospice nurse called 911 and reported an attempted suicide. Pottsville Police Capt. James K. Reiley, who responded to the call, wrote in a criminal complaint that Cattermole "told me that her client had taken an overdose of his morphine with the intent to commit suicide. Cattermole further stated that her client's daughter was present and told her she gave him the morphine at his request so that he could end his own suffering." Mancini asked that her father not be resuscitated or taken to the hospital. Reiley wrote that he "advised Defendant that she no longer had any say in the matter and that her father was going to the hospital for treatment." Yourshaw was revived with Narcan, an antidote for opiate overdoses. He died four days later, reportedly after hospital personnel gave him a low dose of morphine for pain. His death certificate lists the cause of death as "morphine toxicity" that complicated Yourshaw's heart disease and diabetes, and the manner of death as "homicide." The claim that Yourshaw died of a morphine overdose administered by his daughter is central to the case. Defense attorney Fanelli says it's not plausible that Yourshaw died of morphine toxicity four days after the dose he took at home. He also claims there was no attempt to determine how much morphine was in his blood at the time of death. "It's nonsense to assert that one can die from morphine toxicity from a dose taken four days earlier," Fanelli tells Shots. "It's unsupported medically, scientifically, and it just doesn't make sense. The fact is, after he was given narcotic reversal agents in the hospital, Joe woke up and was raising hell with everyone, [saying], 'Why did you revive me and why is everyone picking on Barbara?' "
The group Compassion & Choices, which supports assistance in dying, is starting a national letter-writing campaign to persuade Pennsylvania Attorney General Kathleen Kane to drop the case against Mancini. The attorney general was asked to prosecute the case by the Schuylkill County district attorney's office because of a potential conflict of interest. A spokesman for the attorney general said she would have no comment on the case, but provided the police complaint. Kathryn Tucker, director of legal affairs and advocacy for Compassion & Choices, called Mancini's prosecution "an outlier." "It's very bizarre," she tells Shots. "Having worked in this area for 20 years, this is the most outrageous attempt to apply this kind of [assisted suicide] statute. It's crazy." Tucker points out that while the U.S. Supreme Court in 2009 declined to recognize a constitutional right to assistance in dying, it did say that a patient "has a right to as much medication as they need, even if it hastens the time of death." Tucker says "that is now a widely recognized holding."